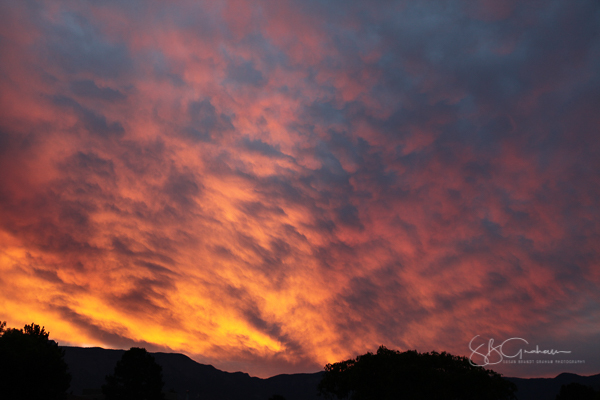 A stormy sunrise had accurately been predicted by the Weather Service for several days. The prediction was correct. 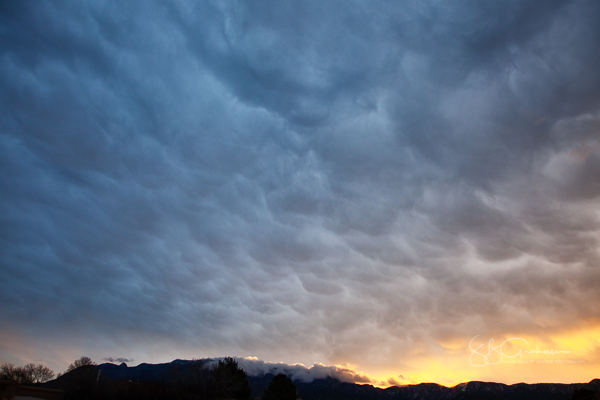 Although the sun was trying to peek out between the clouds and mountains, the clouds soon won out. As predicted, we had showers later in the morning. The sun broke through in the afternoon. Now, however, a light rain is falling again. Those of us who live here are happy for the rain! The neighbors behind me have two friendly, wonderful dogs, Sampson and Inoki. They always greet me when I’m out. Inoki is a born model, and I have posted images of him before. Sampson is a little camera-shy. This image is not sharp, but it is the only one I have. Sampson brightened a stormy sunrise! Sampson, My Neighbors’ Friendly Dog. 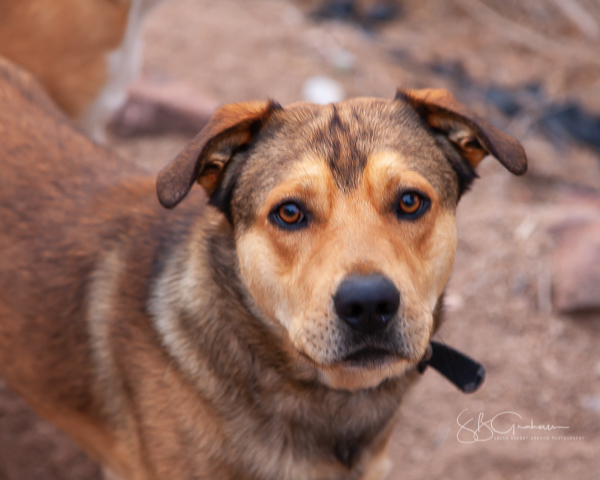 He and his brother, Inoki, always greet me when I am out. 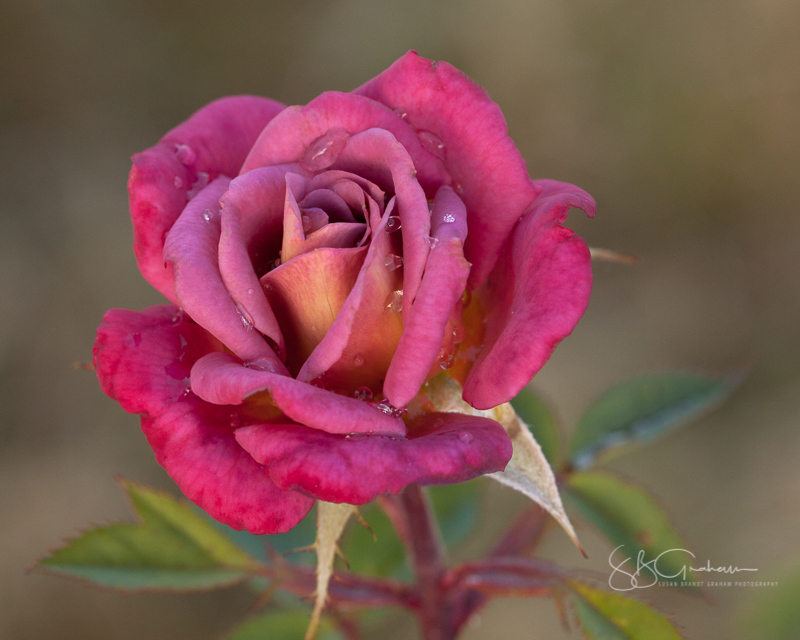 New Mexico Roses: a change is definitely coming to the High Southwest Desert this weekend. The first cold front of the season is arriving in New Mexico, with unseasonably low temperatures and snow in some areas. This is a little early. The cold will not last long. 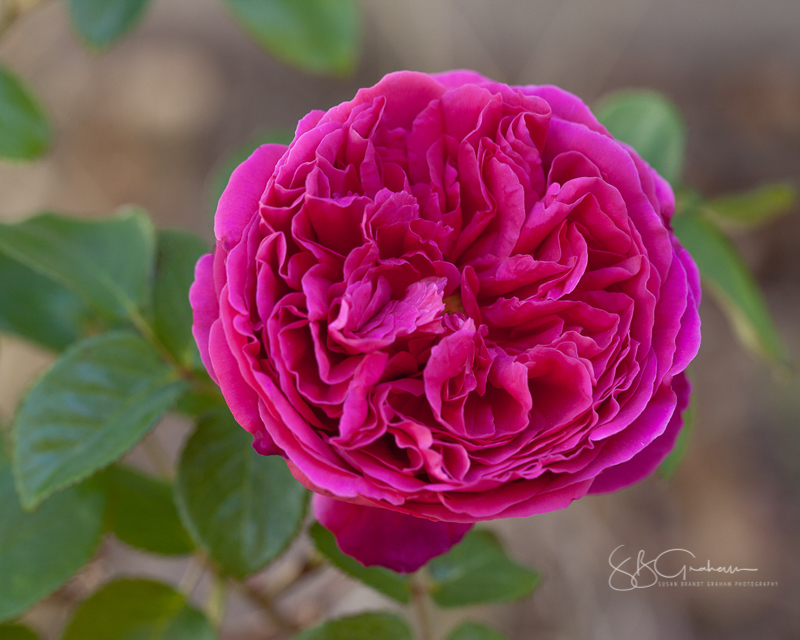 But if the temperatures drop low enough, most of the roses will be close to the end for 2018. 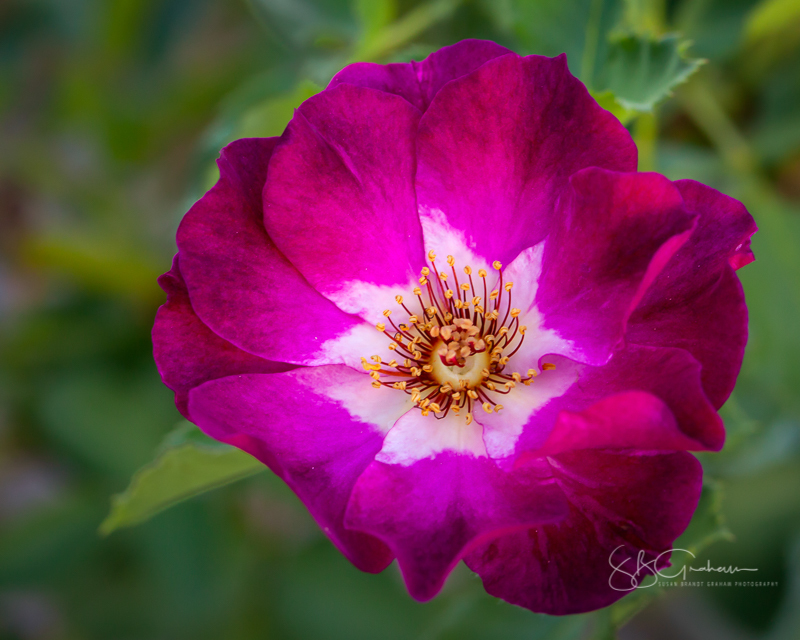 In this time of change, I offer a look back at some of the roses growing in New Mexico gardens, some mine and some of friends. All of these were photographed out of doors, as growing, in natural light. I groomed some of those in my garden. 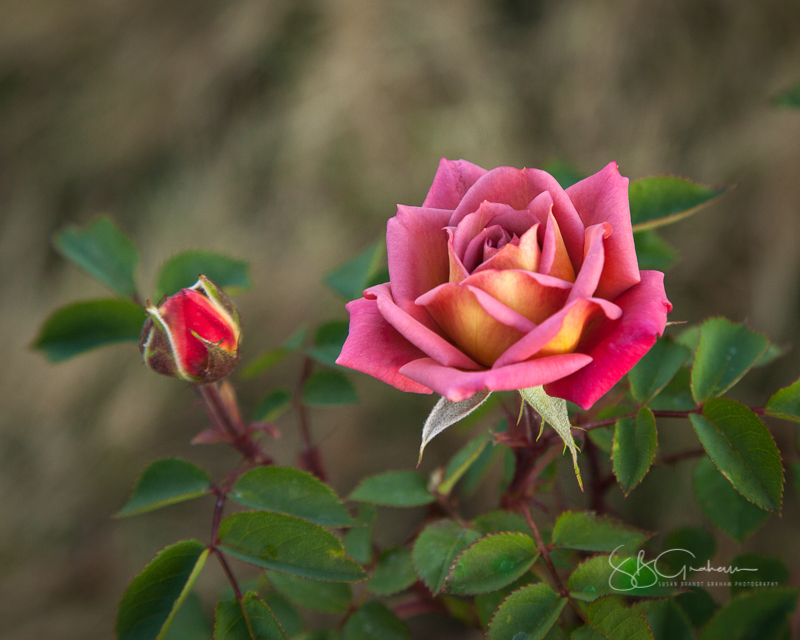 I did not groom roses growing elsewhere. 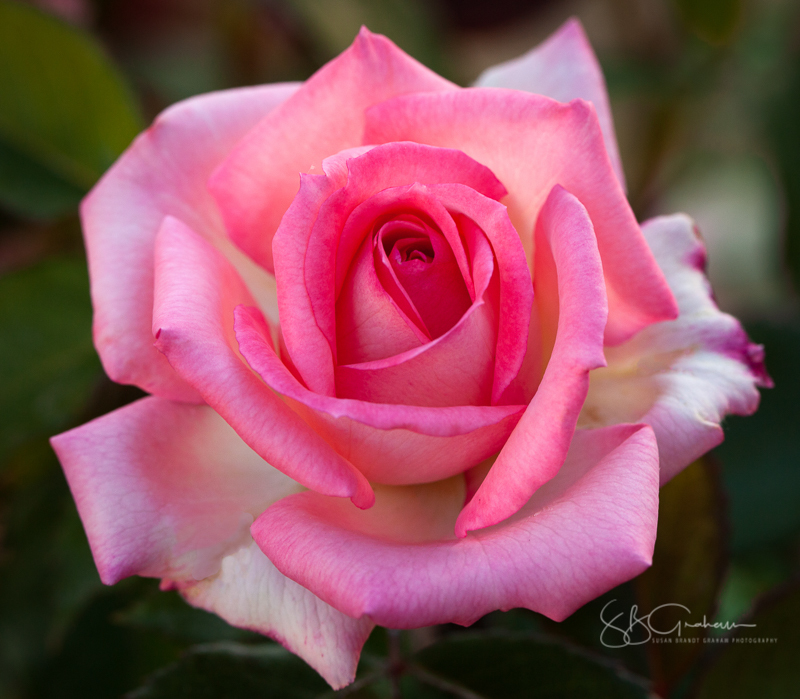 You would not find those entered in a rose show. “It’s not what you look at, it’s what you see.” I saw beauty in all of these. David Clemons’ Miniflora Foolish Pleasure. One of David’s Earlier Creations, It Does Extremely Well in the High Desert. 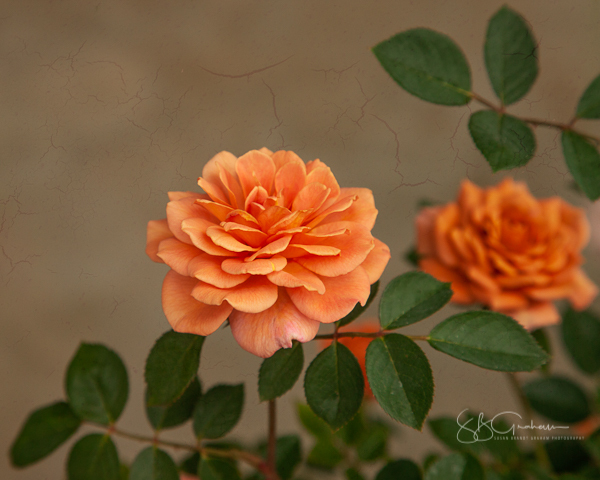 Route 66, a Shrub Rose. The White Eye and Colorful Stamens Are Striking. 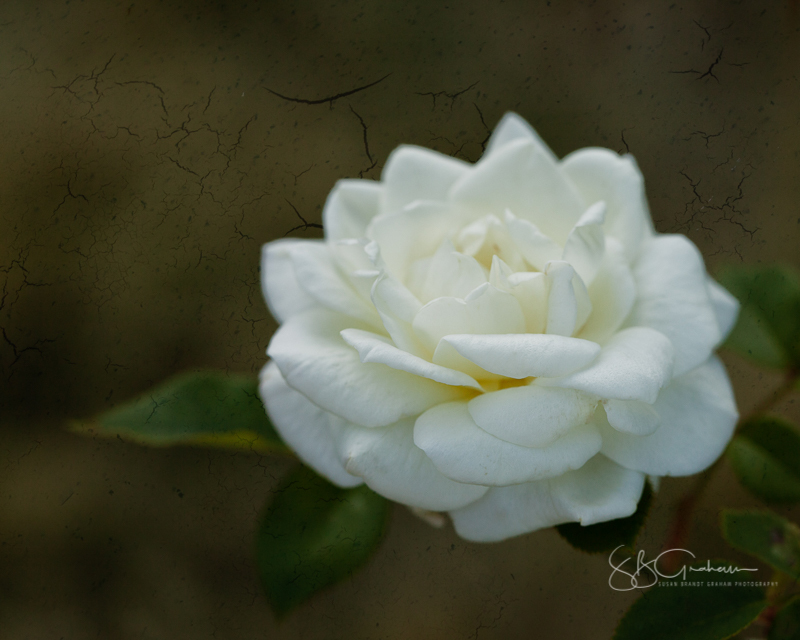 Photographed in the Garden, but Edited Later. I Also Use This for Cards. Change is on its way. 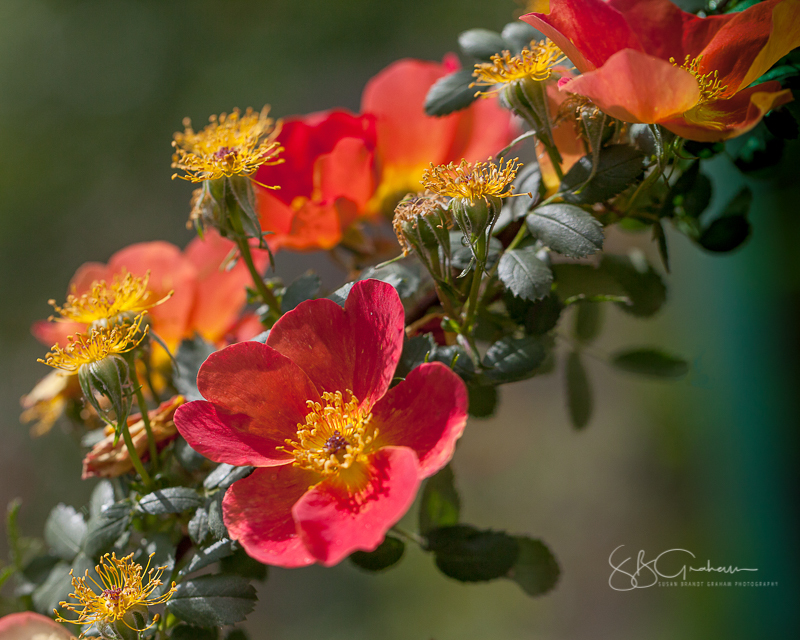 I hope you have enjoyed a stroll through some New Mexico gardens with their roses. I have certainly enjoyed sharing them with you. Old San Ysidro Church 150th Anniversary is being celebrated in a variety of ways throughout 2018. 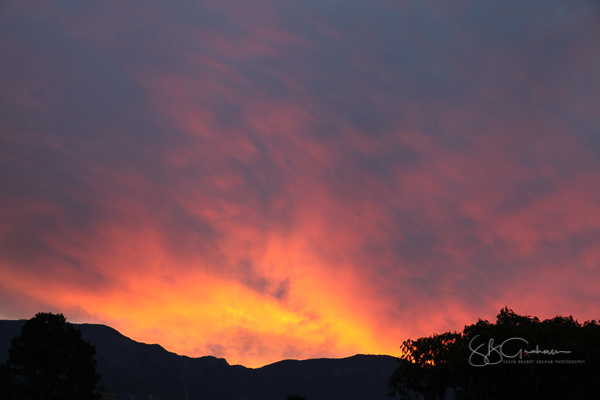 Those of you who visit here frequently know that I love to photograph in Corrales. As a result, I take every offered opportunity to photograph the Old Church just because I like it. However, it can present quite a challenge. 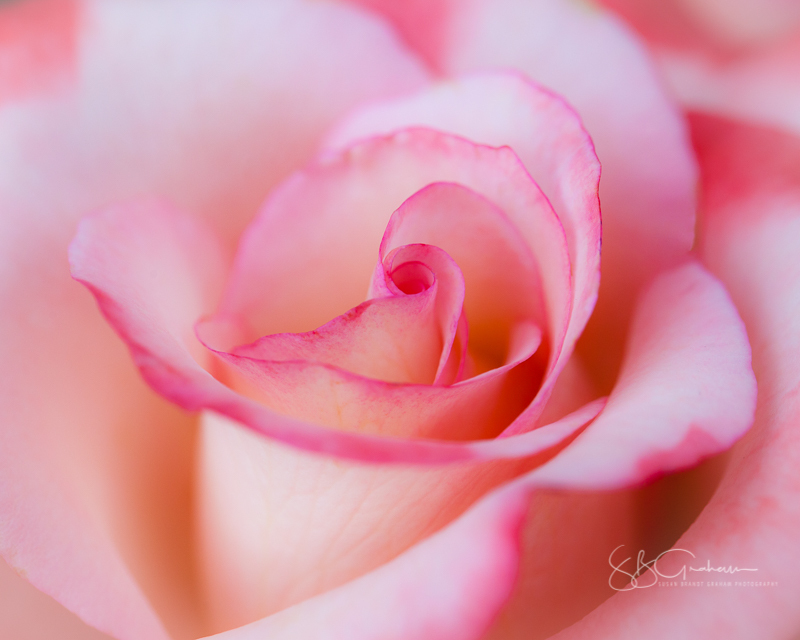 I consider almost all those photographs to be practice. Several years ago I showed a very colorful one in Laguna Beach, California. One of the activities celebrating the 150th anniversary of the church is a photography show with images only of the church itself. No restrictions exist on interpretation for this show. I decided to enter only one and to do it in black and white. San Ysidro is the Patron Saint of farmers. His feast day is May 15. This image comes from May 15, 2016. 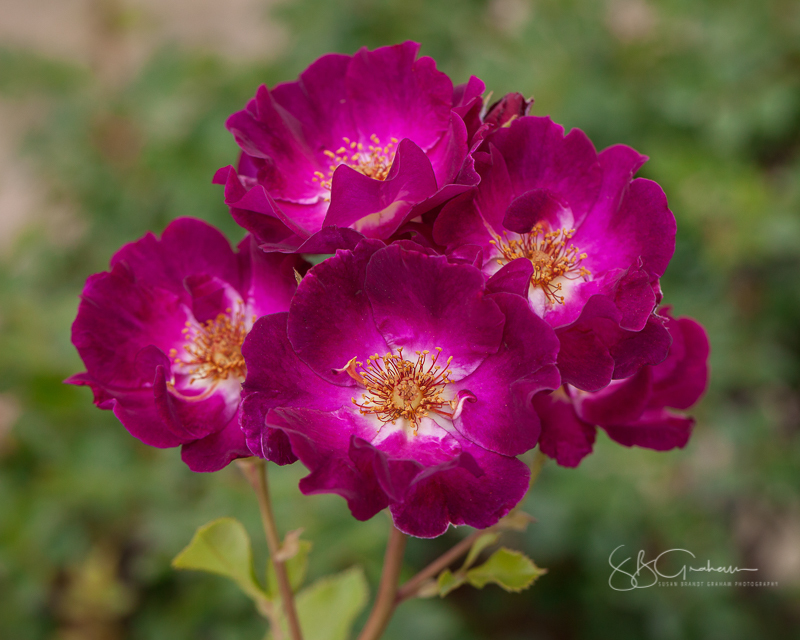 I was in Corrales for the 3rd Annual Corrales Rose Society Dr. Huey Tour. It was pure accident that San Ysidro’s feast day was being celebrated at the new church, just a stone’s throw away. In addition to the usual visual delights, we were treated with wonderful fiesta music. Certainly that added to an already magical day. 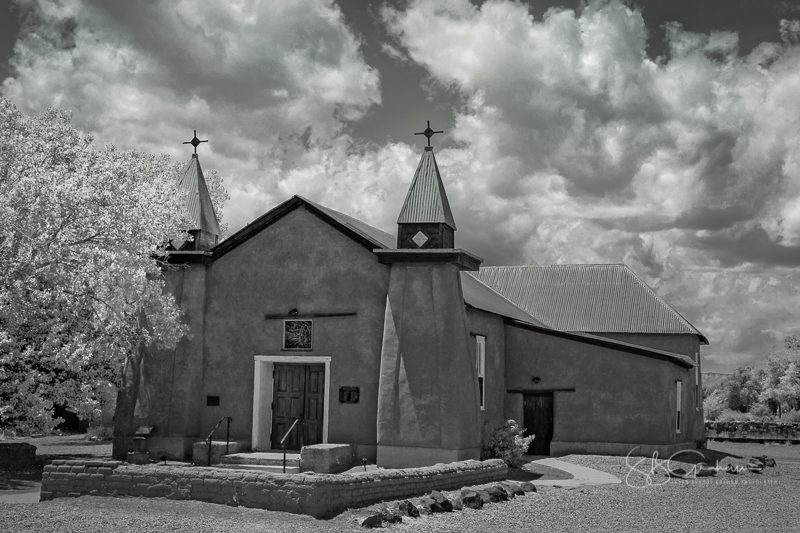 The Old Church Photography Show will be held the last weekend in September, in conjunction with the Corrales Harvest Festival. This is all very Corrales. 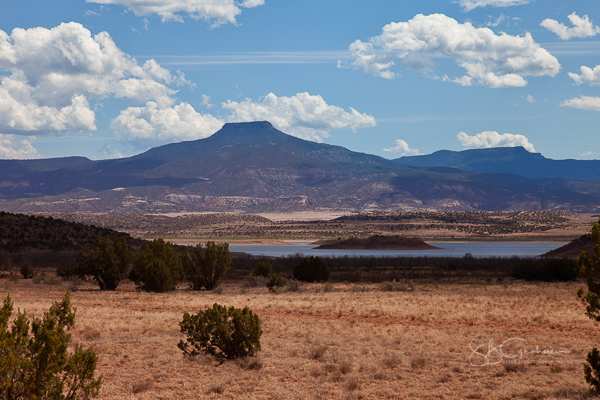 Just across the Rio Grande from Albuquerque, you are in a different time and place. Parking is very limited. The Village closes the main streets to traffic, but provides free parking at the edges of the village. From there, hayrides transport you to a variety of places. The Pet Parade starting at 9:00 am Sunday is a favorite. 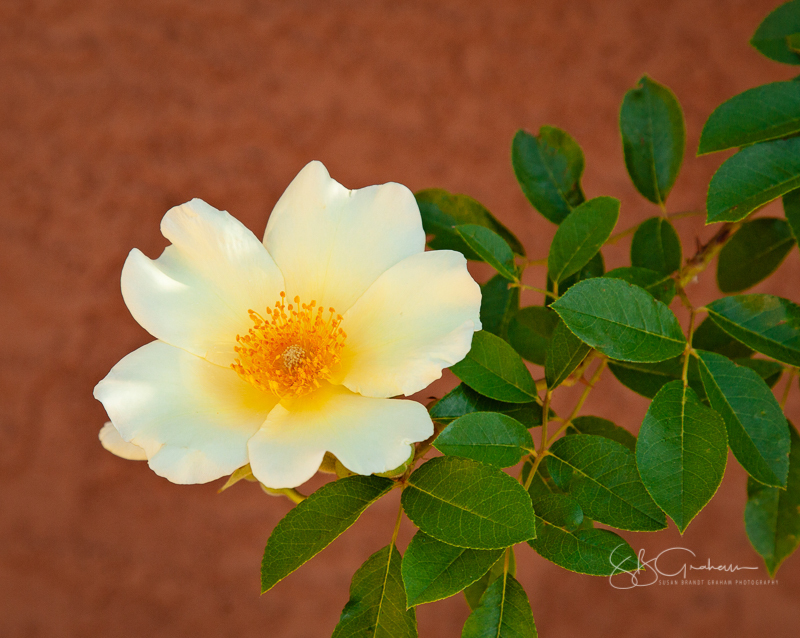 If you are in the area, consider a visit to Corrales and to the Old Church Photography Show the last weekend in September. August morning: the smoke from the fires west of us was bad for two days, and it still remains. But, the skies are a little clearer and the temperatures cooler. Autumn is not quite palpable, but is just around the corner. The smoke adds color to the clouds. 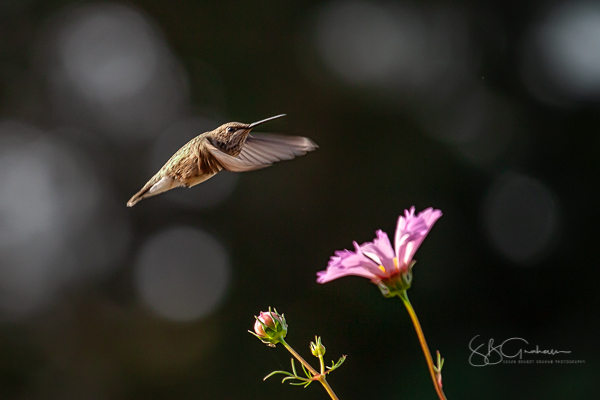 Most of the male hummingbirds have already left for winter homes. The females and juveniles will be here for a week or two, filling up in preparation for the long trip. This is a beautiful time in New Mexico. Note just a hint of crepuscular rays. The smoke has cleared significantly from the prior two days, but is still producing especially colorful skies. 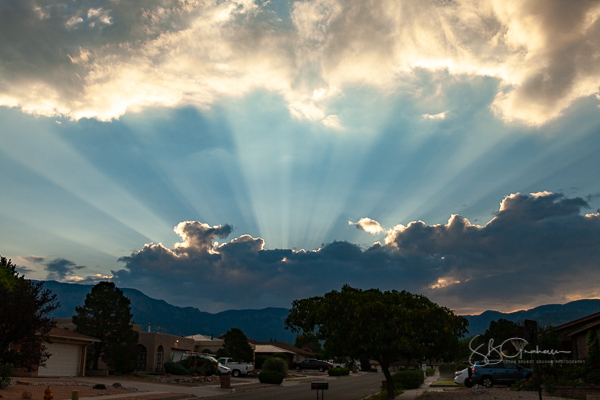 Crepuscular rays, as many readers of this blog know, are common in Albuquerque. 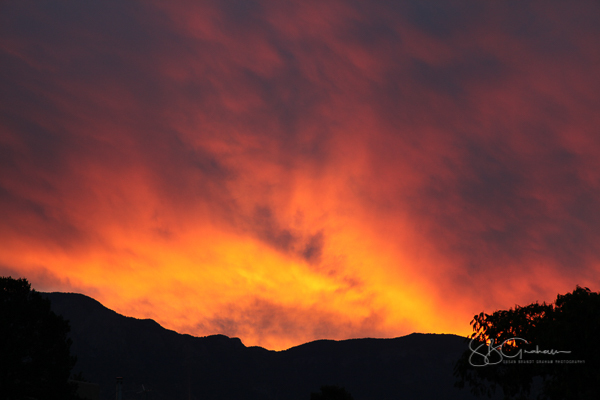 The jagged edges of the Sandia Mountains combined with frequent clouds over the mountains provide an ideal setting for their development. 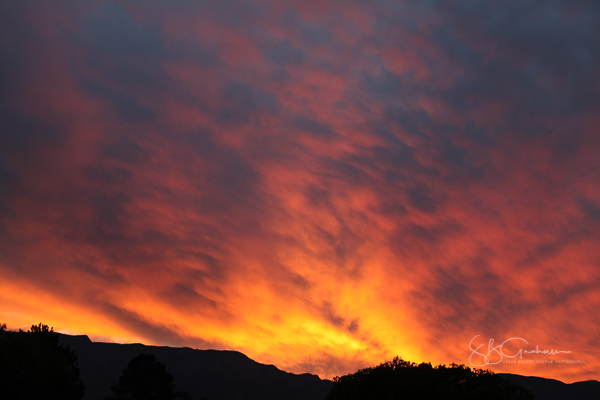 However, I rarely show images of anything taken from my front yard. That view will always contain driveways and vehicles. But, every now and then, I find something especially interesting or beautiful from that view point. Sometimes something can override the driveways and cars. 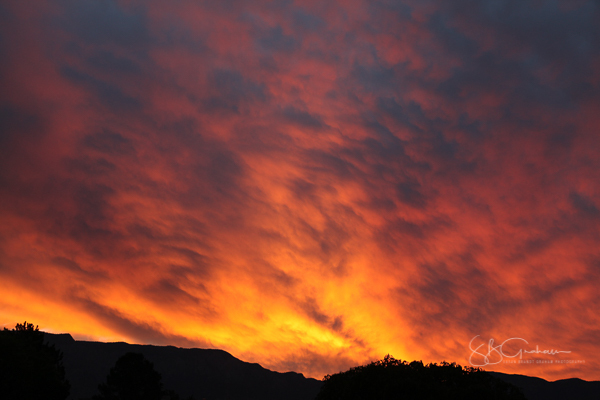 For that reason, every now and then I will show an image taken in the front yard. On a recent weekend, the color of early sunrise was already gone. But I found this a remarkable display of these rays. I hope you enjoy the image, looking up the street, driveways and all. 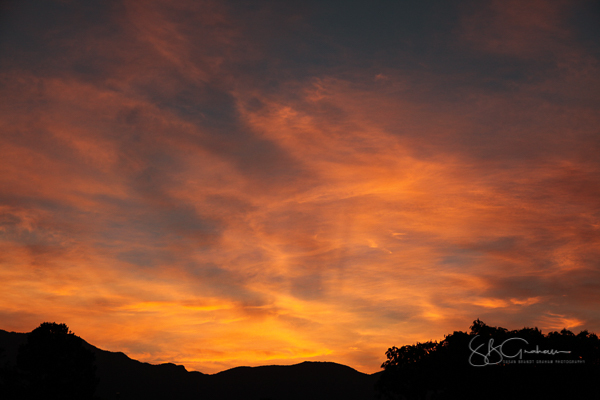 Sunrise, here in the high Southwestern desert, is usually worth getting out of bed to see. This morning was no exception. 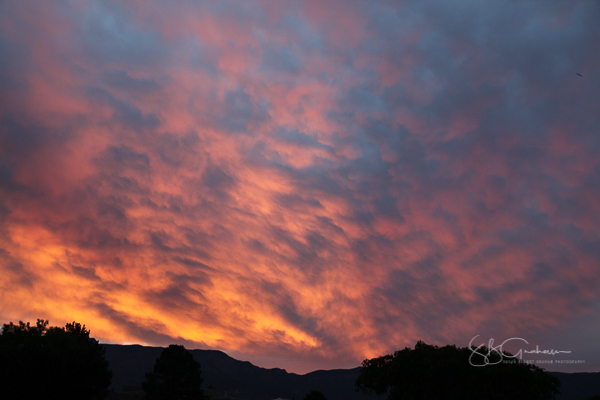 Looking out my back door, I saw a “gentle” sky. I was a bit surprised. It could have been a painting. 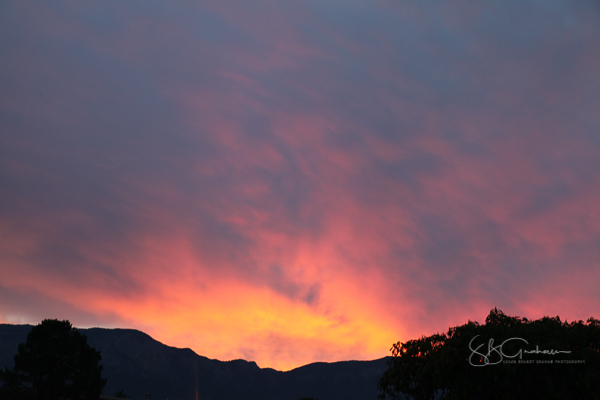 What would I see from the front yard, where I have a better view of the Sandia Mountains? 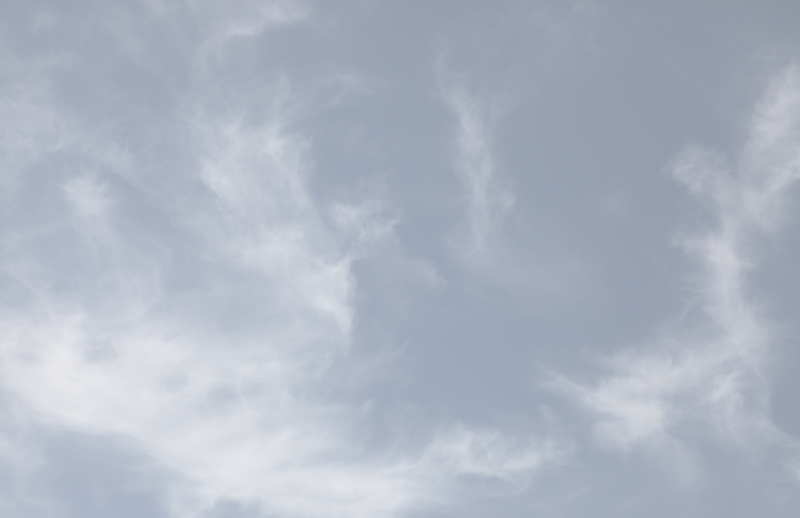 Initially, the sky was very gray. The mountains were capped with clouds. But, I have learned to just wait and see what develops if conditions are right. I had a feeling this might develop into something worth seeing. 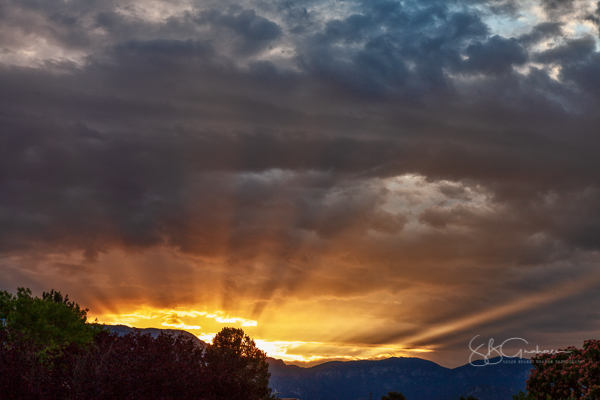 Many of you know I love crepuscular rays. They are not uncommon here. I generally know the conditions necessary for them to develop, but that does not mean they will always appear as expected. 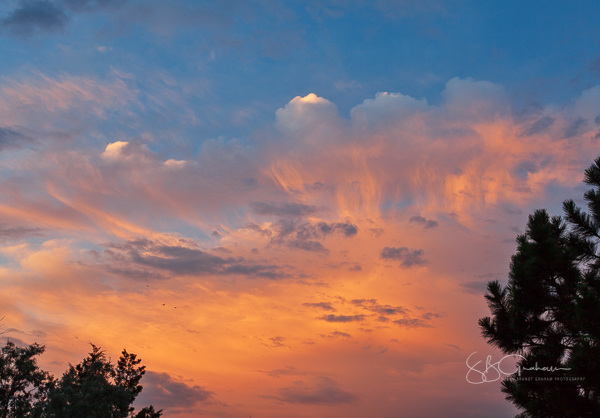 Today, however, the skies rewarded my patience. Wishing you a pleasant rest of the weekend. Echo Amphitheater: Mineral or Murder? 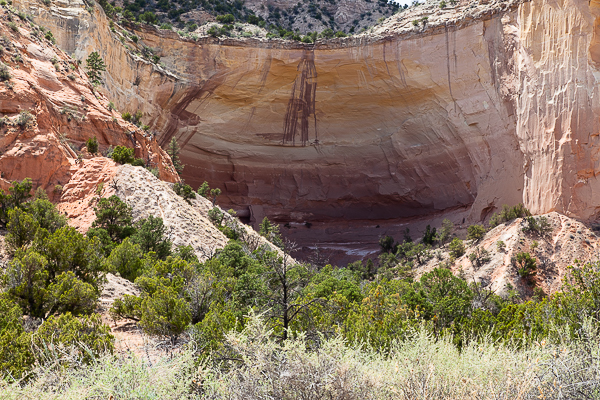 Echo Amphitheater in Northern New Mexico is known for unique echoing auditory properties. 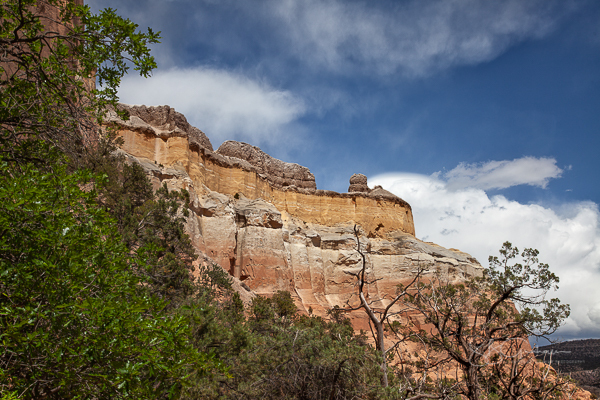 We chose it Sunday as the destination point for our drive through the Jemez. The entire drive was breathtaking. 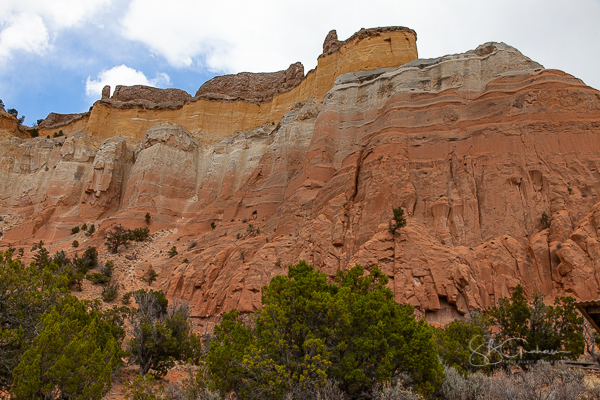 As a brief thunderstorm approached, the light on the sandstone cliffs after we rounded Abiquiu Lake was spectacular. So many different layers of colors were visible. On reaching the Amphitheater itself, in shade from clouds overhead, I did not immediately appreciate the colors. They appeared muted. From the parking lot, a very nice walk leads to the Amphitheater itself. 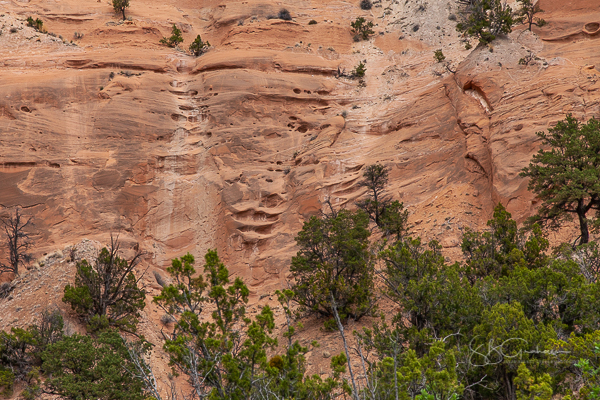 As we walked in, I was impressed with patterns hollowed out in the sandstone by running water. 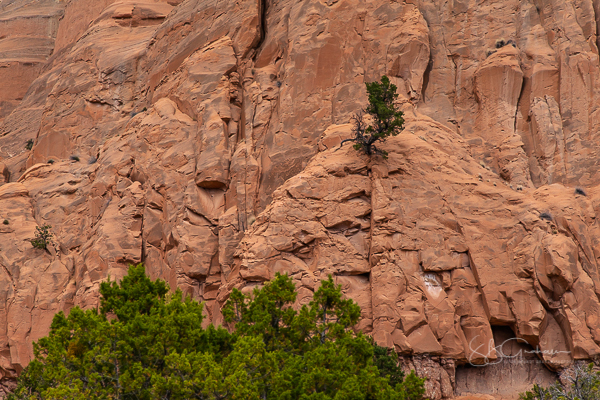 In addition, I noted small trees growing in cracks, which would, of course, lead to larger cracks and falling rocks over time. At the very end are stairs. At the top of the stairs is a landing on which you stand in front of the center of the Amphitheater. This is the point for the best echoes. Of course we clapped hands, said “Hello,” and a variety of other things. Things really do echo!!! 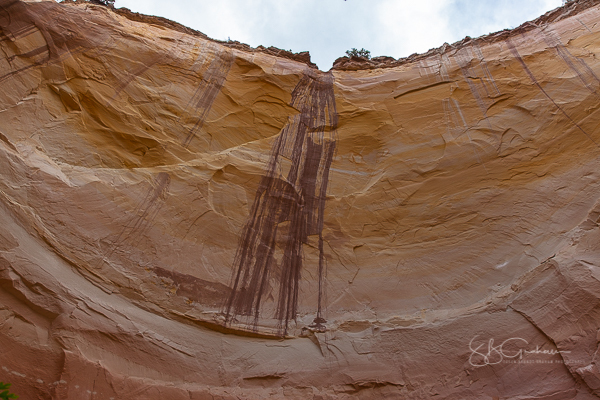 We photographed the impressive stains running down the sandstone. At the time we were there, I thought the stains were probably from iron carried in running water during storms. Today, however, I decided to see what I could find about minerals that might have caused the stains, whether iron, manganese, or something else or a combination. I easily found an overview of minerals in the region. I took this photograph as we were leaving the site. I have not yet found a scientific analysis of the mineral(s) streaking the sandstone. 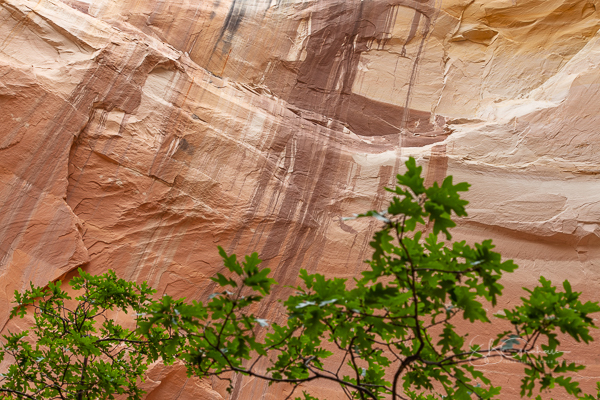 According to legend the curved stone cliff wall now known as Echo Amphitheater was the site where a group of Navajo executed a family of settlers. As the story goes, the victims were brought to the top of the cliff and killed, their blood running down the cliff wall and permanently staining it. Possibly in response to this legend another story says that years later a number of Navajo were in turn murdered in the same spot, once again staining the cliff wall with their draining blood. Now the natural echoing caused by the site’s geography is often ascribed to the voices of the unquiet dead. Old west murders really are not my thing, but seem to be a recurring theme for some reason this spring. I’m still working through all of the things I have found from simply following things out from the DNA test I did just before Christmas. On my father’s mother’s side, one 2nd great grandfather was William Benjamin McKaughan and my 2nd great grandmother was Charlotte Clarenda “Lottie” Spencer (I guess I really am part Irish and part English). They married in Nacogdoches, Texas in 1852. He purchased properties along rivers in Texas, and became a merchant. In the 1860 Federal Census he had significantly more land and personal property than any of my other relatives at that time. Then came the Civil War, and all of my relatives as far as I can determine were Confederates. I’m still working on swallowing that. They had more children after the Civil War ended. He became known in Dallas for business trips he made after the Civil War. Then, on May 5, 1868 he was murdered. The generally accepted story is that one of Charlotte’s brothers (would be a great grand uncle of mine) killed him over a “family matter” (nothing more specified). The Spencer brothers were also merchants, but I do not know if they worked together or were competitors. But I found one website where someone says quite simply, “His wife killed him and her brother took the rap.” I have no idea, but I am trying to find out more. No one in my family talked about that 🙂 )))))))))) It was new to me! In the 1870 Federal Census Charlotte was still living in Belton, Texas with her younger children. She did not possess William B’s land, but still had a fair amount of personal property. 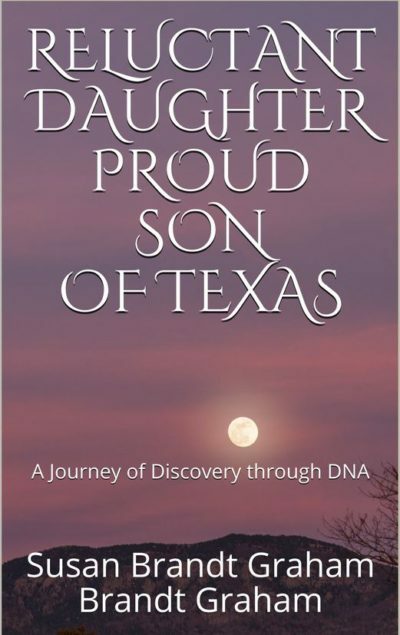 By the 1880 Federal Census she was living with an older daughter as well as some of the younger children in Nacogdoches, Texas. The 1890 Federal Census burned. In the 1900 Federal Census she was living in San Antonio with my great grandmother, Mary Rosella Mckaughan Webb and her third husband, George C Webb, along with two of her grandchildren – my grandmother and great aunt – and also her unmarried younger daughter, “Mattie” McKaughan. Charlotte died in San Antonio in 1902, and is buried in the Confederate Cemetery there. When I graduated from medical school, my father’s sister gave me a pair of earrings with the hand written note, “Charlotte Spencer McKaughan, mother of Mary R McKaughan.” No explanation beyond that was given, and it was the only time her name was mentioned to me in any way. William Benjamin McKaughan was never mentioned to me, and on old death certificates of various family members, both my grandmother and great aunt gave false information about his name and place of birth (and they didn’t even tell the same lie!). On one my grandmother said there was “no information” on who her aunt’s mother was, which would have been my grandmother’s grandmother, Charlotte Spencer McKaughan. I guess they figured telling different lies would make finding the truth that much more difficult. It was, and I’m still searching. What happened to the body of William Benjamin McKaughan? I don’t know. 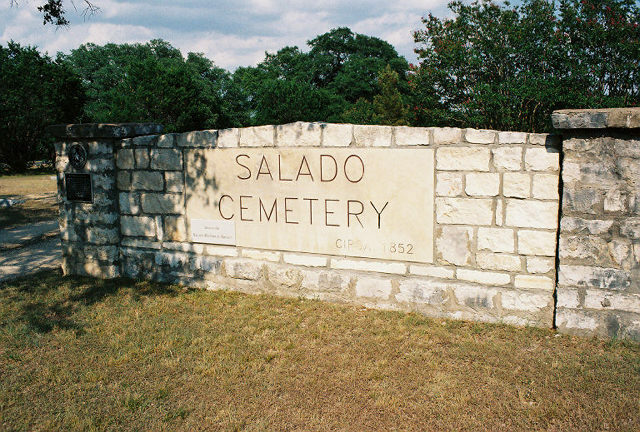 He has a cenotaph memorial in Salado Cemetery, Texas. For those of you who live here, a day trip through Northern New Mexico with Echo Amphitheater as a destination point is fun. 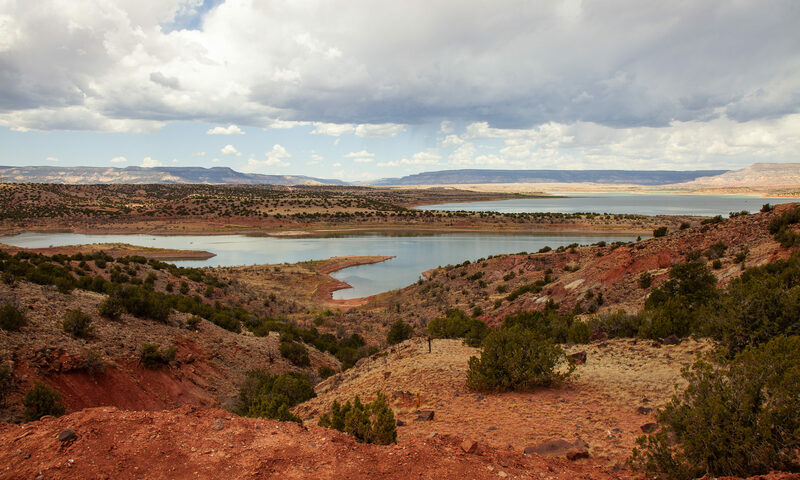 Plan many stops along the way for colorful vistas and photographs. See what your imagination tells you. Thanks for coming along with me on this trip. 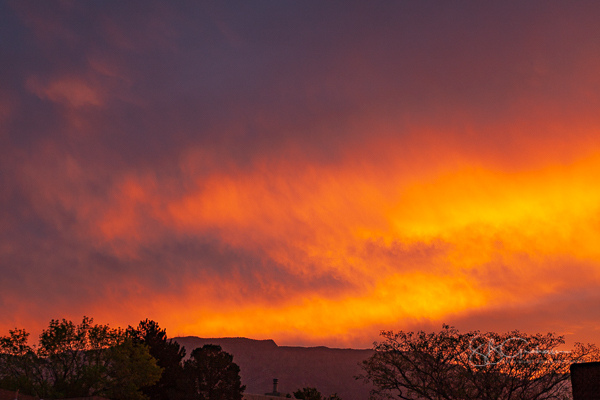 New Mexico: images are better than words. This was a weekend of great company plus beauty, floral on Saturday and landscapes on Sunday. 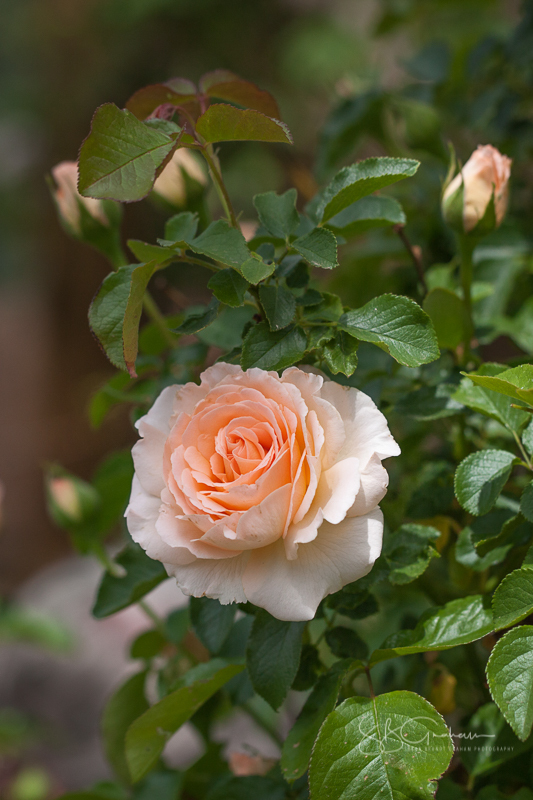 Saturday was the Fifth Annual Corrales Rose Society Dr. Huey Tour. Time flies!!! 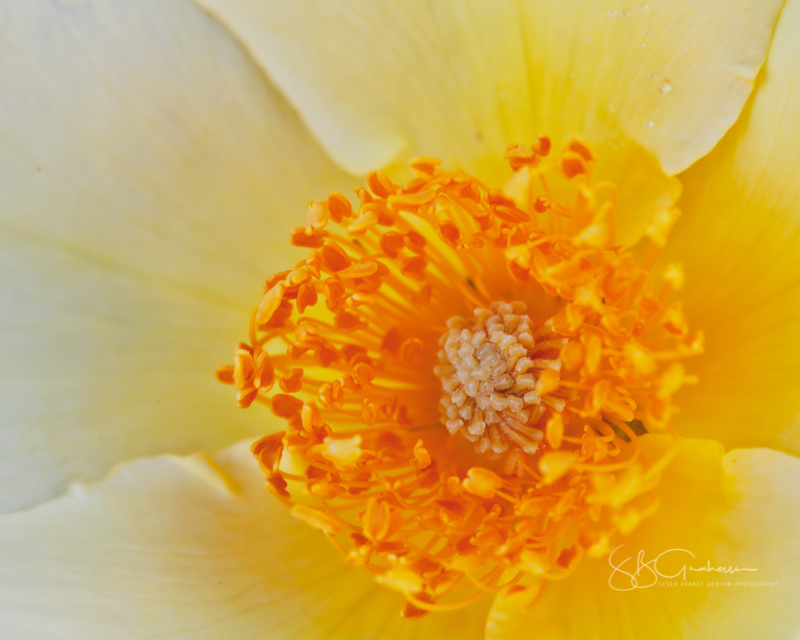 You can read about and see Tim Price’s images at his blog, TandL Photos. 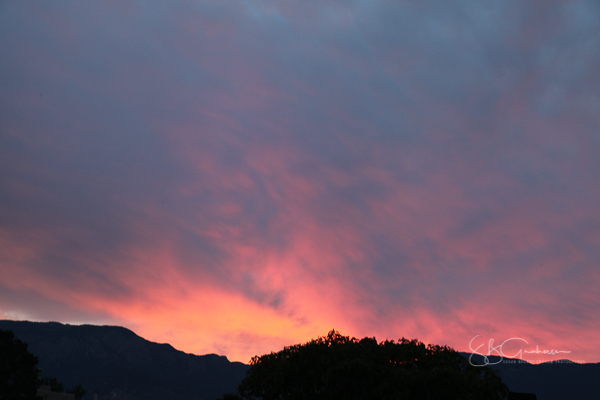 Days spent with Tim and Laurie in Corrales are always beautiful. Sunday I had a remarkable day with a photographer friend from Dallas, King Douglas. (Hello to our friends from the old 1X!!!!). Over breakfast we discussed what to do. He pulled out a map and circled a few places. It was clear we were not going to “usual” places. I am so glad. I’m also glad I filled up with gas before I picked him up. 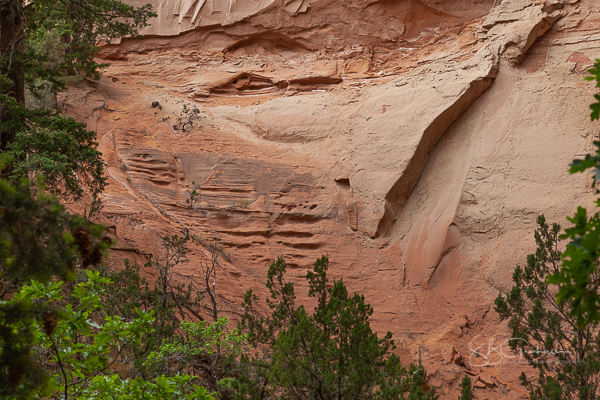 We settled on Echo Amphitheater as a destination (photos of that another time). 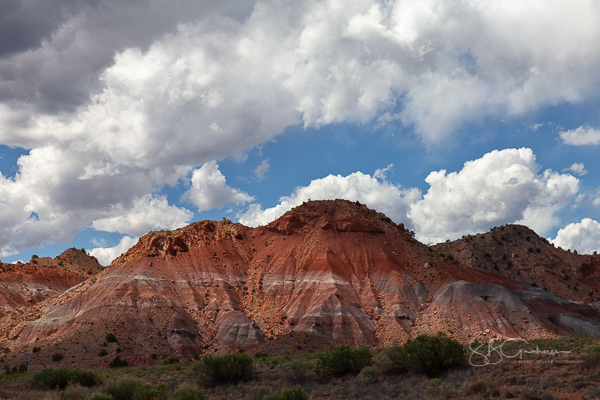 I warned him that I always get rained on in the Jemez, even if there is only one tiny cloud in the sky. The rain came just as we arrived at Echo Amphitheater. It was short-lived, and produced a cool and refreshing afternoon. 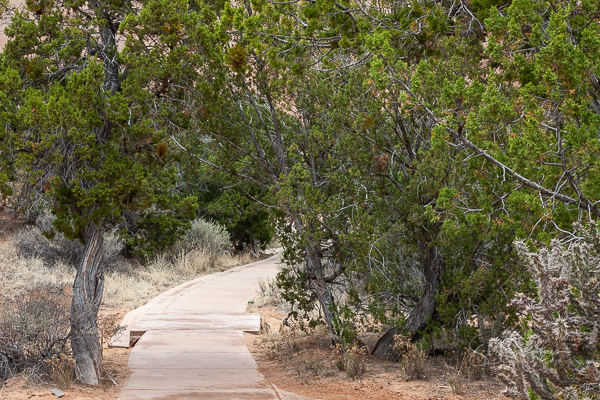 The magic of the Jemez! We chatted about so many things. 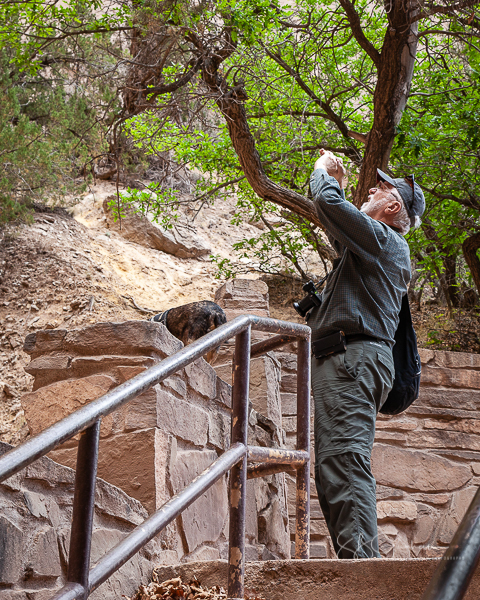 And, when we stopped to photograph, I got some tips from a master. What a day! 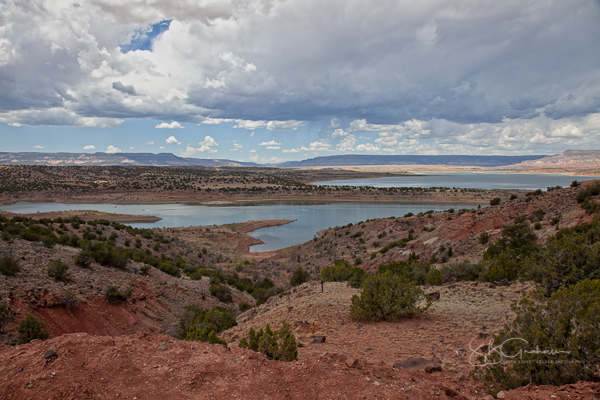 Abiquiu Lake Looking North. Very Low! Northern New Mexico. More Colorful than the Painted Desert of Arizona. More Color, and Look At That Sky! 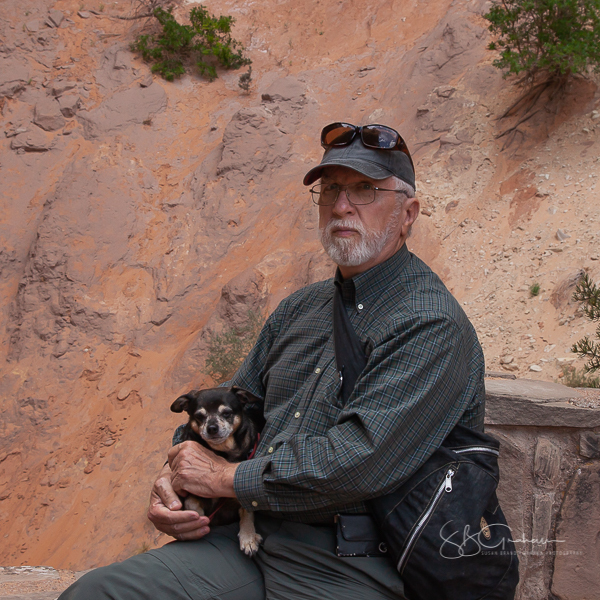 Finally, for our mutual friends, King Douglas with his wife’s dog, Cooper, in Echo Amphitheater. Cooper is not only adorable, he is an extremely smart Service Dog. He was a great little companion on the trip. This weekend was full of great company and visual delights. Thank you for sharing what was a remarkable weekend, even by New Mexico standards! 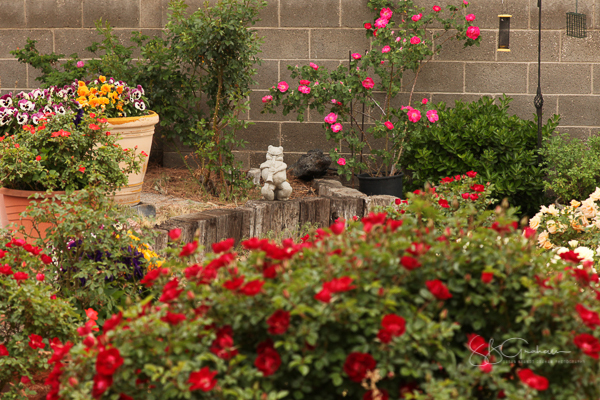 Spring color is everywhere in Albuquerque. Everything looks so fresh. 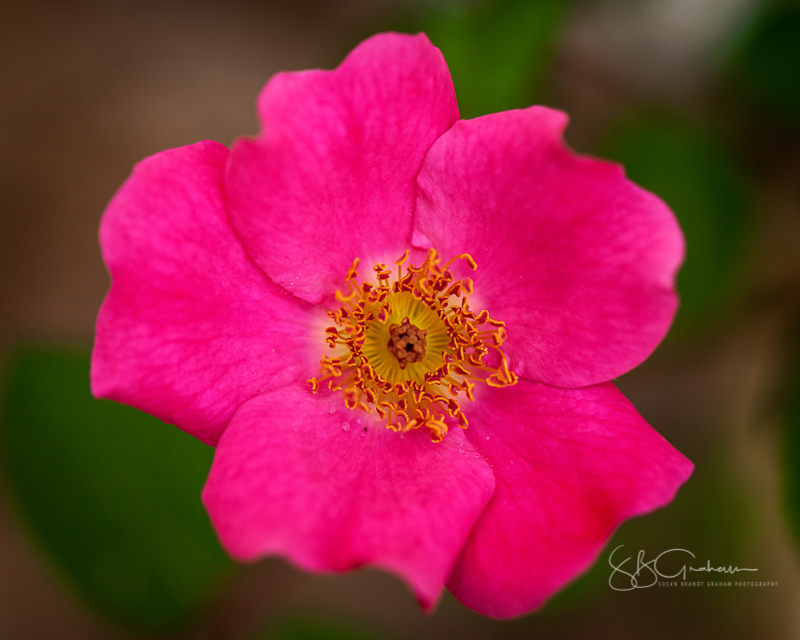 The roses are a couple of weeks ahead of schedule. 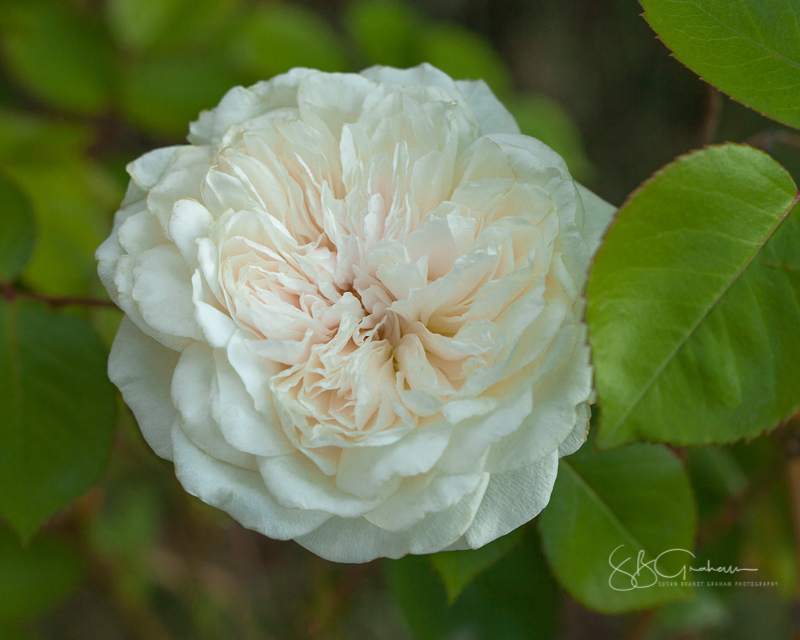 Because the weather is not hot yet, the roses haven’t become crispy critters, as they sometimes do. Everything around town seems colorful and clean. 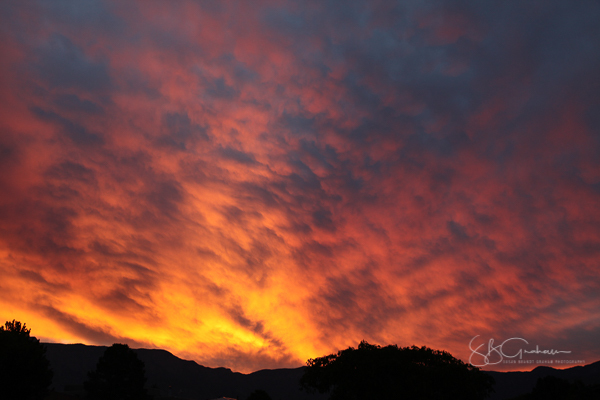 Of course, nothing beats a sunrise here! A riot of floral color makes things that much better! A Journey of Discovery Through DNA. Read with the free Kindle app, no Kindle required. 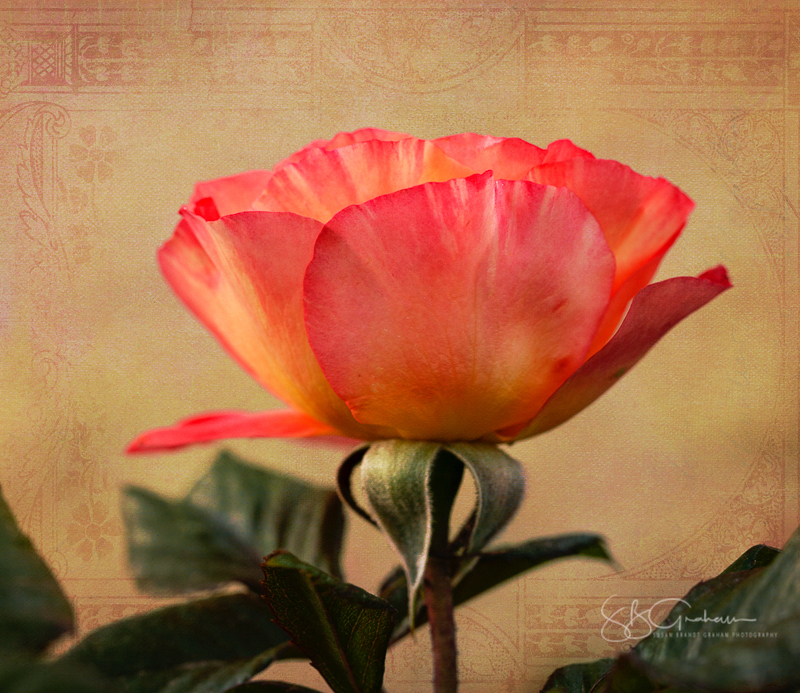 All content and photographs © 2007-2019 Susan Brandt Graham. All Rights Reserved. Please do not copy without written permission. I link to products I have used and can recommend.